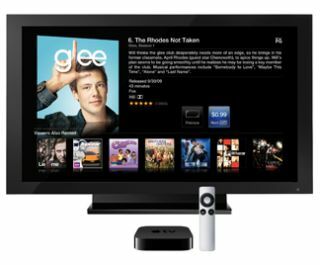 New moves to make Apple TV smart platform a reality? | What Hi-Fi? New moves to make Apple TV smart platform a reality? With the tech giant looking at building its own content delivery network and buying up bandwidth, is the Apple iTV starting to appear on the horizon? It's been a while since we witnessed any movement on the development of an Apple iTV, but recent reports emerging from the US might just indicate that the wheels are once again in motion. Of course, rumours about the iTV have circulated for some time now – including claims that the tech giant is eyeing up the launch of an OLED TV or even a 4K Ultra HD TV during Q4 2014. But now the Wall Street Journal reports that Apple is working on its very own content delivery network, which it suggests could be used for pushing out video content and more. Does that mean iTV is on the way? That remains to be seen, but what also emerged is a revamp of the Apple Online Store ahead of Valentine's Day that includes a full Apple TV section. If you pay a visit to Apple's Online Store, you may notice that Apple TV is seen as a full product line – something that was not previously the case. Bill Norton, chief strategy officer of the International Internet Exchange, told the WSJ that Apple has acquired enough bandwidth from web carriers to move a considerable amount of data in seconds. But while this could facilitate the company's move towards iTV, it could also indicate that it is working on another product – most likely a smartwatch. Apple is understood to be keen on both, however. On a related note, a new Beatles channel has launched on Apple TV to coincide with the 50th anniversary of the band's first appearance on the Ed Sullivan Show in the US. The performance will be available to stream for free for a limited time, with a range of other Beatles goodies available via the channel.